Again I'm the bearer of some less than great news. Several weeks ago my good friend Breeze was diagnosed with cancer both in his brain and lungs. The result of this is that Breeze needed to stop working, and start treating his illness. Because of this they effectively have no income, and the bills are mounting with the radiation treatment. Several of us have been trying to figure out a way to help. I know that lately we have been asking for a lot, and I'm sensitive to that. So what I've decided this time around, is to take a two pronged approach. If you can afford to send a few bucks along to help with gas or buy dinner, then that great. You can send a paypal to RobertStimson AT msn DOT com. What I would like to do, is put together a raffle. If you have some good old equipment laying around, whatever it might be, and you are willing to donate it to help then I would really appreciate that. We'll sell tickets for $5 per chance. During our rally this year in NC, we'll draw the names, and award the prizes. You do not need to be present to win, but if you do win and won't be at the rally to pick up your prize you are responsible for arranging pick up or shipping of your item. The money is going directly to Breeze and Tracy with nothing help back for administration by KR, so we won't have a fund to pay shipping and/or postage. So if you have something to donate toward this, please either post up here or contact me. Please only volunteer an item if you 1) are truly willing to part with it and 2) will agree to help transport/ship/deliver the item to the winner/rally. To purchase raffle tickets, send a paypal in $5 increments to RobertStimson AT msn DOT com. Then forward your paypal confirmation to helpKR AT katriders DOTcom. We will post up in this thread to verify we received your payment and number of tickets. Last edited by steves; 06-20-2013, 04:01 PM. I'll be routing through the garage tonight for raffle items. I know I have a post smoked screen, some levers, a couple white-faced gauges and some other knick-knacks I'd gladly send along for the cause. I'll get you a list later. Thanks Ted, and anyone else who's willing to help. I'll have a hand knit cowl, and a few other things to go up. Not everything will be bike related, but they will be nice. I know there are going to be a set of beer glasses with the KR logo etched on them. Prayers for you in your fight Breeze! RIP MARC......Ride on in Heaven Brother! mistake when you make it again. If we're doing non-bike related stuff too I'm sure I can find some more stuff to donate to the cause. Yeah, I'm thinking we may break the drawing down into katana, and non katana items. We'll have to see what the response looks like. I'd be happy to help anyway I can, I don't have anything to raffle off but would love to participate and donate. Could also consider doing something where if people have stuff they're willing to donate, other users could bid or buy it and that money would be donated. I would be willing to pay for some items at regular cost so that it would go to the cause. 2003 Suzuki Katana 600, Two Brothers Carbon Fiber exhaust, plasti dipped black and green (almost). 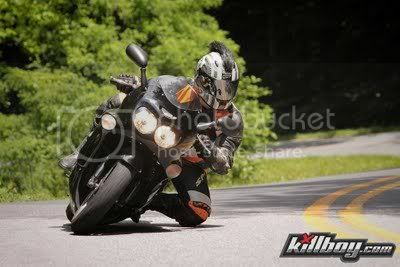 I live and ride in Upstate NY. I have a Loobman's Chain Oiler that I'm willing to help with the cause. I have to double check to see if it's complete, it might be missing a zip tie or two and maybe the instructions. Besides that it is new and never used. Sad to here this news. I dont get on here much anymore, but would love to help. I have a couple of billet clocks with the Dragon logo, i am sure those attending the Rallies will remember them,i would like to donate. I am sure i have some other stuff lying around, i will look this weekend. I will post up some pictures later. Cant do it from work. Steve, i will ship to the winners. just let me know who wins. Ok, no more mister nice guy, i've met the guy in the street, and he's a wanker. 1 set of brand new Michelin Power Race "Medium compound" tires. I will bring them to the rally in July. Next Item from the Superbike collection: 1 set of Sportbike trackgear Tire warmers (Single setting temp.) With storage bag. Like new.